DeAnna, it’s great to have you here to talk about your first novel, The Belly Dancer (Berkley), which debuts this week. 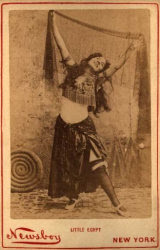 The Belly Dancer is the story of a young woman whose life changes when she volunteers at the 1893 World’s Fair and falls under the spell of Oriental dance. 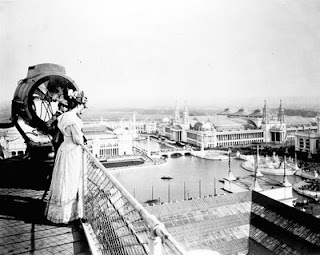 The Chicago World’s Fair of 1893 introduced Americans not only to Oriental dance but also to the Ferris wheel, electric lighting and neon, motion pictures, the stained glass of Louis Comfort Tiffany, the precursors of the Arts and Crafts movement, hamburgers, Hershey’s chocolate, picture postcards, and ragtime. In the midst of so much novelty and innovation, why do you think the Middle Eastern dancers stood out? I think it was because the Egyptian dancers challenged the prevailing ideas of the time about what it meant to be a woman. If you think about it, they presented a female image that broke the rules of American society, from the way they dressed, to the way they conducted themselves, to the way they lived. Although the Egyptian costumes would be considered modest by today’s standards, their appearance hardly conformed to what was expected of proper ladies of the time. This was an age of corsets and floor-length skirts. To reveal even an ankle was to invite scandal. And then there was the way the Egyptian women moved. They shook and shimmied their bodies in ways that were unthinkable for an American woman of the time. 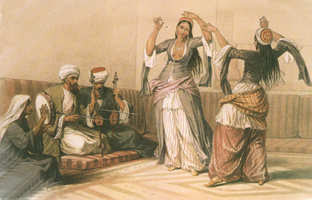 Everything about a proper woman during this age was controlled and restrained; the Egyptian dancers offered something different. Of course what they offered appealed to the baser instincts of many of the men who filled their audiences, but I imagine it also appealed to some of the women who felt stifled by all the regulation. At least that was the idea that caught my imagination. As I wrote Like Mayflies in a Stream (fall 2009), I struggled with how to reconcile conflicting historical evidence and fill in the blanks where no evidence existed. What problems did you run into? How did you balance storytelling and history? My biggest problem was knowing when to put the research books away. I spent countless hours studying this time period, from the books I’ve bought at used bookstores all over Southern California (of which there are sadly an ever-dwindling number), Internet searches, and visits to Chicago and its incredible history museum. Once, I think I spent a whole afternoon looking up manufacturers who built bicycles in 1893, only to decide the next day that a brand name wasn’t even necessary to the story. But that’s the tricky part of writing a historically based story—details can make a scene come alive for the reader, but they can also bog down the story to the point that you lose the reader’s interest. I have a tendency to overexplain, so these were areas I really focused on when I was revising the manuscript. Anything that didn’t seem absolutely necessary to the story, I tried to take out. I also listened closely to the comments of critique partners and my agent, who is also a terrific editor. What was your favorite part of writing The Belly Dancer? I loved the challenge of putting into words the beauty and allure of belly dance. Because I’ve loved the art and history of this dance form for so long, it was fun to try to capture what it is I love about the dance in a way that communicates that joy to a reader. Which was more helpful in writing The Belly Dancer, your background as a magazine editor and writer or your years of studying Oriental dance? That’s a difficult question to answer. My years as a writer and editor gave me the discipline to write and taught me the craft of writing, but my years of studying belly dance gave me the inspiration and the desire to stay with the story even when I didn’t think anyone besides me would ever read it. If I hadn’t had both experiences, I don’t think I would—or could—have written this book. Did you have any input into your book’s beautiful cover? I wish I could say I did because it is pretty terrific, isn’t it? But no, I had no input into the cover. Early on my editor asked me to assemble some of the Orientalist painting images that I had scattered through my Website at the time, some of my favorites such as The Dance of the Almeh by Jean-Leon Gerome, The Turkish Odalisque by Giovanni Costa, The Ghawazee of Cairo by David Roberts, and The Dancing Girl by Giulio Rosati. I also included actual images of the Egyptian dancers at the 1893 Chicago World’s Fair. So the artists had these things to use as reference, but what they came up with was so much better than anything I ever could’ve suggested or even imagined. I write (or revise, depending on the stage of the manuscript) every weekday, and I usually have a daily word or page count goal that I try to meet. I’m not a fast writer (or reviser), so it’s very important for me to keep to a schedule or I’d never finish. It’s surprising how much progress you can make even when you’re writing a small number of words a day. I can’t say that it’s a method that would work for everyone, but this is what seems to work for me. Do you have any advice for my readers who are working on their first novels? Make time to write on a regular basis and really commit yourself to finishing it. So many people talk about writing a novel, but the only way to do it is to do it. I’m working on a couple of ideas at the moment—one’s a contemporary belly dance story and the other is set against the heyday of vaudeville in New York City. Your “Writely So” blog routinely interviews writers about how they promote their books. What have you done already and what will you be doing to promote The Belly Dancer? Most of what I’ve done so far has been on the Internet. 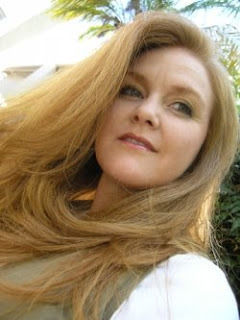 On my “Writely So” blog (http://DeAnnaCameron.blogspot.com), I share some of the twists and turns of my road to publication, and I also write about the Southern California belly dance scene in a separate blog, called “Scribbling Gypsy” (http://ScribblingGypsy.blogspot.com). In addition to those, I have a Website for the book (http://www.DeAnnaCameron.com), and I’m active on Myspace and Facebook. I’ve also had postcards made up announcing the book, which I pass out at local belly dance events I attend, and friends are making them available at local belly dance classes. I’m also setting up a book release party, which will really be a big belly dance party and a fundraiser for an organization called Women for Women International, which helps women survivors of war rebuild their lives. My favorite thing, though, is that I’m setting up visits to book clubs. Not only will we talk about the book, but some of the clubs have asked if I could also add a beginning belly dance lesson, which I’m thrilled to do. DeAnna, thanks for visiting my blog, and good luck with your future writing. 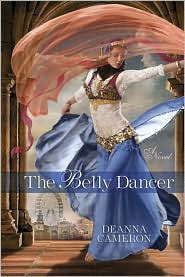 You can learn more about DeAnna and The Belly Dancer by visiting her Website at http://www.DeAnnaCameron.com/ and her blogs at http://DeAnnaCameron.blogspot.com/ and http://scribblinggypsy.blogspot.com/. 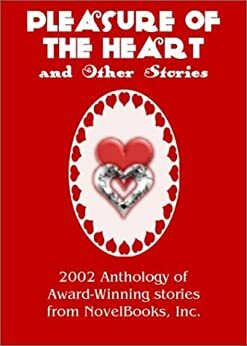 Her book is available at your local bookstore as well as online at Amazon.com, Barnes & Noble, and Borders. 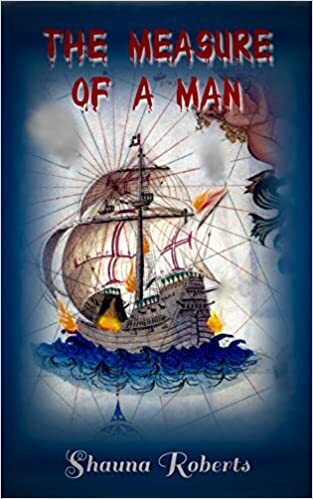 I pre-ordered this book and have been looking forward to its arrival. Thank you, both of you, for this behind-the-writing glimpse! Thank you -- I'm excited to read this book! I've been writing something set in the same time period so I am very interested to see how it's portrayed in The Belly Dancer! Thank you for inviting me to your excellent blog, Shauna! That's great advice about just making even small progress each day. Good stuff. NINTHMUSE, my copy arrived right before I left for Clarion, so you should have yours soon. GUMBOMOM, thanks for dropping by! I'm interested in seeing how DeAnna handled the history too. CHARLES, good to see you. I'm not visiting blogs while I'm away. Very nice interview! I admire historical writers-not sure I could pull it off! STEVE, happy to please you. CARLEEN, thanks. I love reading historical fiction, but the amount of research needed to pull it off is daunting. Still, after writing Like Mayflies in a Stream, I'm thinking of trying it again. JAMES OH, good to see you again, and thanks for the award. Incorporating belly dance classes into your book promo is very creative. I also admire historical writers, hats off to both DeAnna & Shauna for continuing to dig for just the right amount of information to make a scene even better. Just wanted to tell DeAnna I saw her book on a front table at my local Borders! How fun is this interview! I love the part about the bicycles and then deciding she didnt need a manufacturer after all. SHEILA, thanks for dropping by. I'm glad you enjoyed the interview.